Ebola virus infection typically results in a rapidly evolving clinical syndrome that results in death in a week or less in a majority of the cases documented in areas of Africa, even though the incubation period leading to clinical disease can last up to three weeks. However, probably the main factor in determining whether a fatal outcome is quickly seen depends on the immunocompetence and nutritional status of the infected individual. Although the Ebola "panic" initiated by the Centers for Disease Control and Prevention (CDC) and other governmental health organizations in 2014 had many people wondering if they would be lucky enough to avoid infection and "inevitable" death, it has been well-documented that individuals can have Ebola antibodies circulating in their blood, indicating they encountered or contracted the virus but had a completely protective immune response. This was the case in 11 individuals working with Ebola patients in Central Africa who were tested. Robert Rowen, MD demonstrated that a protocol of ozone, vitamin C, and a supplement containing multiple antioxidants is highly effective in resolving (curing) clinically symptomatic, documented cases of Ebola virus infection in Sierra Leone. The ozone was administered by direct intravenous gas administration, rectal ozone gas insufflation, and the ingestion of ozonated water. A daily dose of four to eight grams of vitamin C was given, along with two tablets daily of a supplement containing thiamin, riboflavin, selenium, N-acetyl cysteine, glutathione, lipoic acid, and an additional small amount of vitamin C.
Chikungunya virus produces a syndrome that is truly debilitating, with severe joint pains that often persist for months and even years. Indeed, some individuals appear to never completely recover from it. What's really behind the spread of most viral infections? Currently, treating viral syndromes such as Chikungunya involves the administration of analgesics such as acetaminophen as the primary therapy, relying completely on the immunocompetence of the infected individual to eventually defeat the virus and allow recovery. Indeed, there were so many Chikungunya viral infections in Cali, Colombia in 2015 that a "shortage" of acetaminophen developed in hospitals and clinics throughout the city. Furthermore, it also needs to be emphasized that very many cases of Chikungunya virus were transmitted in families in Cali without anyone being bitten by a mosquito, even though it is asserted that this is the only way one can acquire this viral infection. At least with Chikungunya, and possibly with the Zika and Dengue fever viruses as well, it would appear that mosquitos help to spread the infection and amplify its presence in a community but are not absolutely required for the infections to be contracted. Certainly, Ebola virus does not require the mosquito for transmission. Dengue fever appears to be similarly susceptible to vitamin C therapy. I treated one case of hemorrhagic Dengue fever (blood in the urine) in a 15 year-old girl in Colombia, South America with part of my own personal supplement supplies that I had with me at the time. Specifically, I gave her about 10 packets of liposome-encapsulated vitamin C (1,000 mg per packet) to be taken orally over the following 48 hours. She was completely recovered by the time she had taken the last packet. Liposome-encapsulated vitamin C, properly-dosed, can be enormously effective in acute viral and bacterial infections. However, it is important to take a vitamin C formulation that is truly liposome-encapsulated for optimal intracellular antioxidant impact. What should we do with the Zika virus? The current bogeyman that could once again ending up terrorizing the United States and other countries around the world is the Zika virus. Since "modern" medicine still refuses to acknowledge the many ways in which viral syndromes can be quickly and efficiently cured the vast majority of the time, both doctors and patients alike feel their fate lies in the hands of an arbitrary infection until an "effective vaccine" can be produced. Even if fast-tracked, such a vaccine should take a good two years to be developed and ready for administration. And there is certainly no guarantee that such a vaccine would be either effective or free of significant (negative) side effects. The Zika virus is also generating increased concern by its reported relationship to birth defects, particularly microcephaly, meaning a small head and small brain have developed during the pregnancy. While there is serious doubt that this virus is in fact wedded to this particular birth defect, the scare has already been widely circulated, and it is unlikely that pregnant women or women seeking to become pregnant will be put completely at ease by any information to the contrary. When will "modern" medicine wake up to the reality of successful treatment options? What these therapies share is an oxidant, or pro-oxidant, impact on the infecting agent. When something, either a biomolecule or a pathogenic virus, is sufficiently oxidized, it is rendered inactive. When enough oxidation is inflicted, such a virus can frankly rupture and be excreted and/or assimilated to a limited degree in other biomolecules in the body. For all intents and purposes, this means the virus has been "killed," although some purists do not like such an assertion since a virus is not considered to have a life force by itself, but only when it takes over and "infects" a living cell. What makes vitamin C so special? 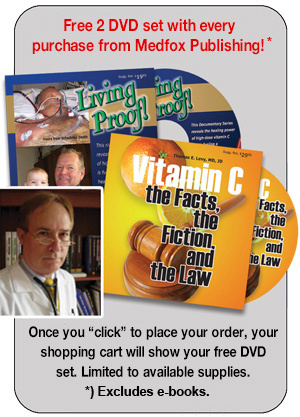 While it has been clearly established (although remaining completely unappreciated) that oxidative therapies (such as ozone, hydrogen peroxide, hyperbaric oxygen therapy, and ultraviolet blood irradiation, to name the most commonly utilized) can rapidly resolve viral (and many bacterial) infections, vitamin C is uniquely positioned to offer so much more to the infected patient than any other of the oxidative therapies. While the vitamin C molecule is only antioxidant in nature, capably of only donating electrons (versus oxidative therapies, which oxidize, or take electrons away), it is capable of giving its electrons to molecules that can pass them along to hydrogen peroxide inside the pathogen or infected cell, generating the most potent pro-oxidant molecule of all, the hydroxyl radical (Fenton reaction). Also, by mechanisms not yet clearly defined, high enough doses of vitamin C also appear to directly promote the production of hydrogen peroxide in the extracellular space, which would rapidly kill or neutralize any pathogens in those areas of the body as well. But what vitamin C offers that none of the other oxidant therapies offer is that it is also the body's most widespread and vital nutrient. While the other oxidants are highly effective in killing pathogens, they offer nothing to help rebuild the normal tissue and connective structures that the infection has compromised. What do all of these viruses have in common? Indeed, all of the viruses discussed in this article quickly and rapidly consume local and systemic vitamin C stores, resulting very effectively in a clinical picture of acute scurvy. Small blood vessels are especially affected by this vitamin C depletion, and the loss of vitamin C-dependent connective tissue integrity in these small vessels is the reason that advanced infections with these viruses results in hemorrhage in various areas of the body. However, there is certainly no need to use just vitamin C and nothing else, although it would often take care of any acute viral infection as a monotherapy. In any given patient, you want to get on top of the infection as quickly and completely as possibly, since the main concern is intervening too late to deal with a very high pathogen titer and advanced tissue and organ damage. Therefore, it is most appropriate to treat an acute infection with whatever oxidant therapies are available, while also dosing vitamin C at optimal levels. And when someone still isn't responding optimally, consider proceeding directly to dosing vitamin C at high levels in at least four different forms, as outlined in the "Multi-C Protocol." Very few viral and bacterial infections, except when already very advanced with multi-organ failure present or imminent, will fail to respond to this approach. Instead, a complete cure can routinely be anticipated. Much of the reason for this is that there is nothing more critical in restoring and sustaining immune system strength and tissue integrity than vitamin C.
The other pro-oxidant therapies do not provide this enormous advantage (Levy, 2002). Rowen R, Robins H, Carew K, Kamara M, Jalloh M (2016) Rapid resolution of hemorrhagic fever (Ebola) in Sierra Leone with ozone therapy. African Journal of Infectious Diseases 10:49-54.